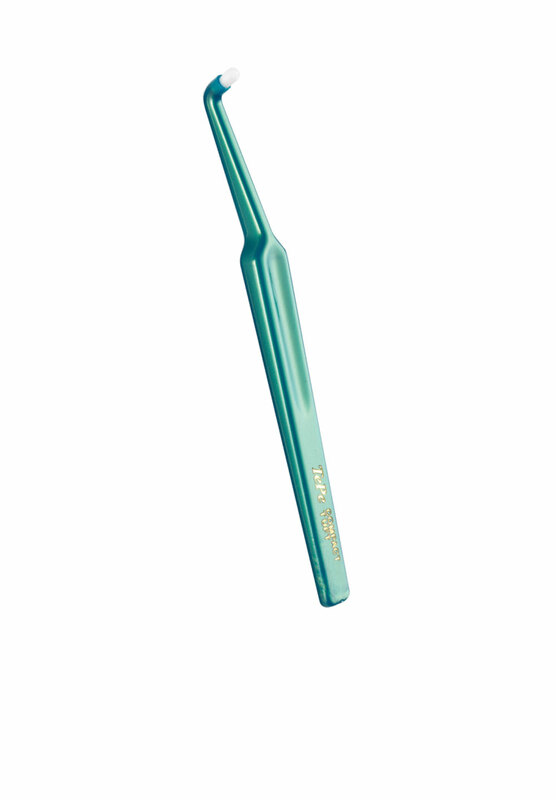 TePe Compact Tuft is an angled brush with a small rounded tuft which makes it ideal for precision cleaning of areas that are difficult to reach. Hold the brush tip at a 45 angle so that the filament tips touch the gum line. Move the brush tip gently back and forth along the gum line. Look in the mirror to assure that you place the brush properly. Cleaning of children’s emerging teeth: Hold the brush tip at a 90 angle towards the bite surface of the tooth. Move the brush tip gently with small, circular movements. This will clean the grooves and help prevent caries.